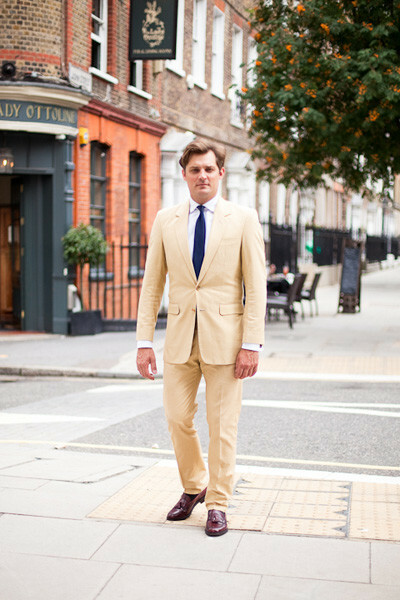 As with every suit, like cars and watches, it’s what’s inside your summer suit that counts the most, and for summer you want to avoid heavy cloths, dark colours and instead aim for breathable fabrics: cottons, in this case. For maxiumum comfort, go completely unlined. 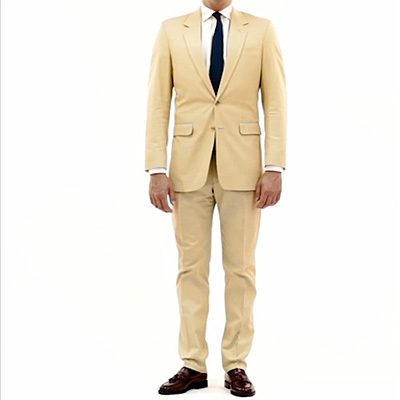 Made from a lightweight cream cotton, the suit is made and cut in England. As much of the suit as possible is hand tailored. As with every suit we make, unless you choose our Express service, the suit will take 8-9 weeks to make – we have a half way baste fitting and then a forward baste fitting before the suit is finished and delivered. The cloth was from English made cotton, with working buttons and horn buttons. 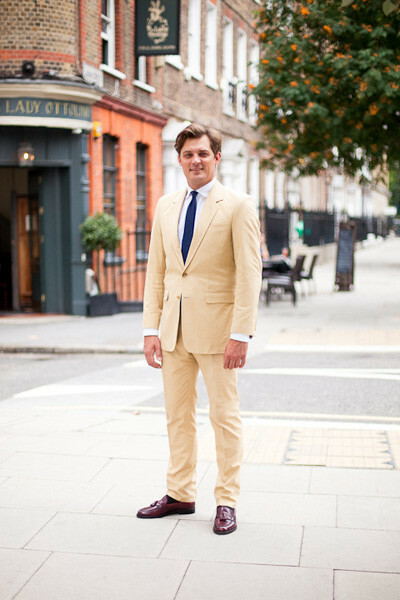 The Cream Suit - Bespoke Suits By Savile Row Tailors.